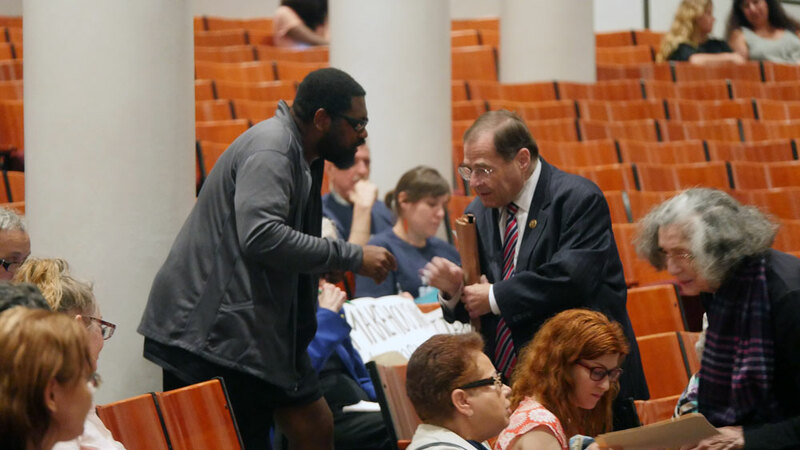 Of course, the six-hour hearing was no laughing matter. 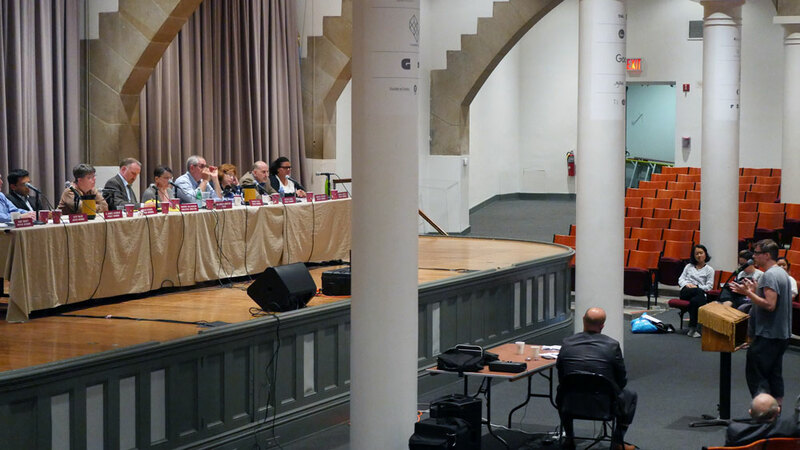 Over 80 tenants, building owners and elected officials testified before the board, which later this month will vote on new rent rates for the city’s hundreds of thousands of rent-regulated apartments. The board is considering proposed increases of 0 to 2% for one-year leases up for renewal between October 1, 2016 and September 30, 2017, and 0.5 to 3.5% for two-year leases. 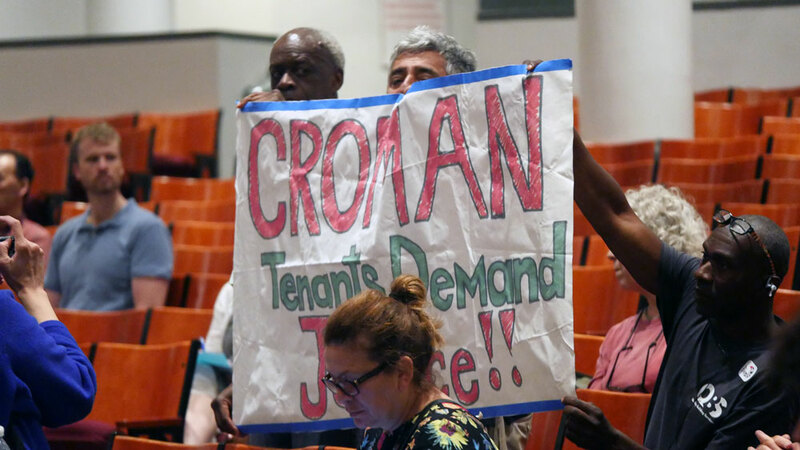 Most (58) were tenants who testified about inhumane tactics they said their landlords use to drive rent-stabilized tenants out of their apartments so they can qualify for vacancy bonuses. Among the methods cited were the withholding of services, verbal harassment, and bothersome construction. Tenants also complained about flat-out illegal deregulation and the aloof attitude or corrupt actions of legislators in Albany. 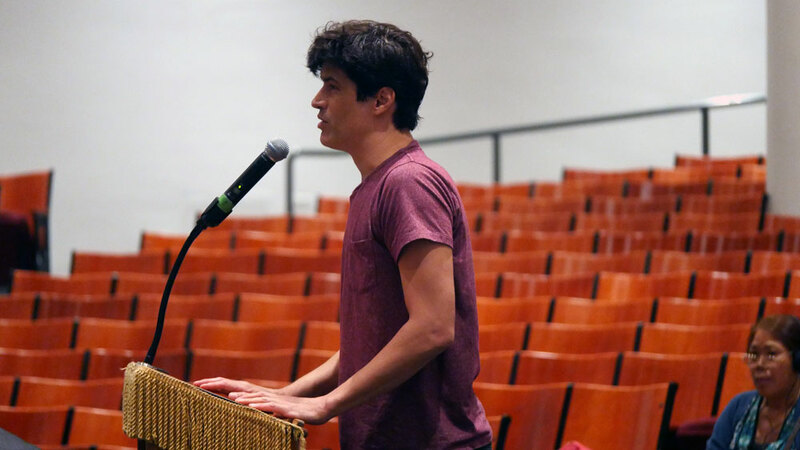 Some argued that incessant Major Capital Improvement rent increases– used to make up for the cost of new windows, new roofs, and similar building-wide upgrades and repairs– were unjust when landlord operating costs are down and income remains on the rise. 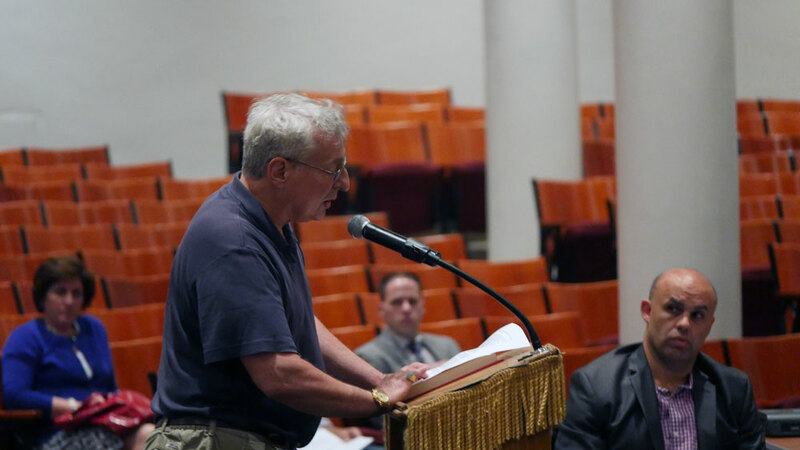 “The amount of greed that I have witnessed is disgraceful,” said Rob Roth, a Lower East Side artist, of his embattled landlord Steve Croman, who has been accused of pushing out tenants by cutting gas and heat, offering low buyouts, and threatening frivolous lawsuits. 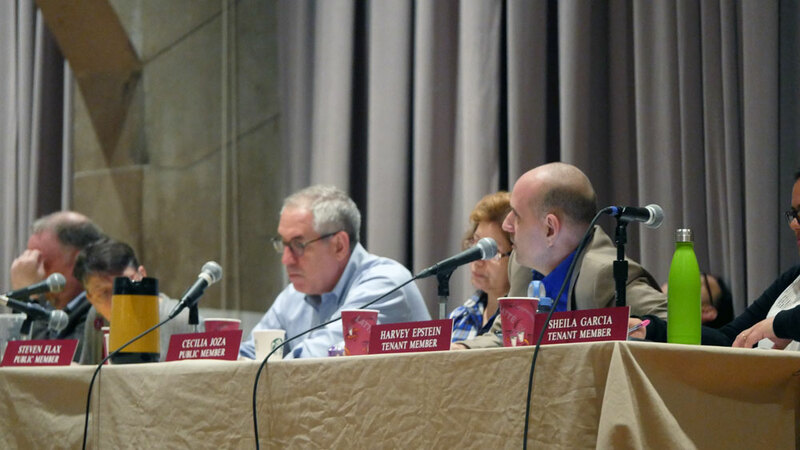 Self-described small owner Hal Brill, one of 18 owners who attended, used his two minutes of testimony to say that “the system is skewed against all landlords…especially the small landlords,” adding that rents are too low to cover costs like real estate taxes and water rates for his 28 apartments, 18 of which he said are rent-stabilized. “What we need are higher guideline increases now and supplemental increases as well,” Brill insisted. 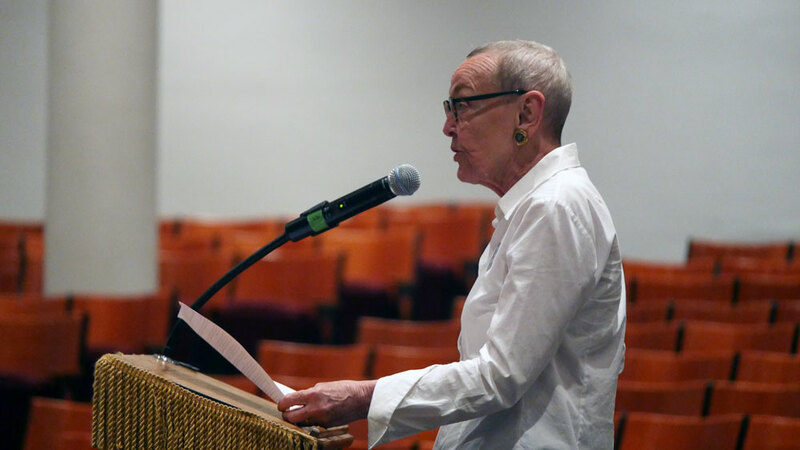 If you were not able to attend any of the public hearings and you would like to provide comment, you can still do so through the RGB website or by emailing board@nycrgb.org. The RGB votes at 6:30 p.m. on Monday, June 27 at Cooper Union.